Two fantastic keynote addresses: Sallie Jones of Gippsland Jersey; and Henry and Anna Terry, truffle farmers from the hit Seven Network television series My Kitchen Rules. To secure your spot, please book accommodation first and then register. Accommodation is at the forum location — RACV Goldfields Resort in Creswick. We have a special rate available for forum attendees of $191 per night. Please follow this link reservations.travelclick.com/131390?groupID=2279364 to reserve your room. If you are a concession card holder (healthcare, seniors or student card) Agriculture Victoria will cover 50% of your accommodation cost making accommodation $96 per night. You will need to provide evidence of your concession at hotel check-in to receive this rate. Please follow this link reservations.travelclick.com/131390?groupID=2279364 to reserve your room. 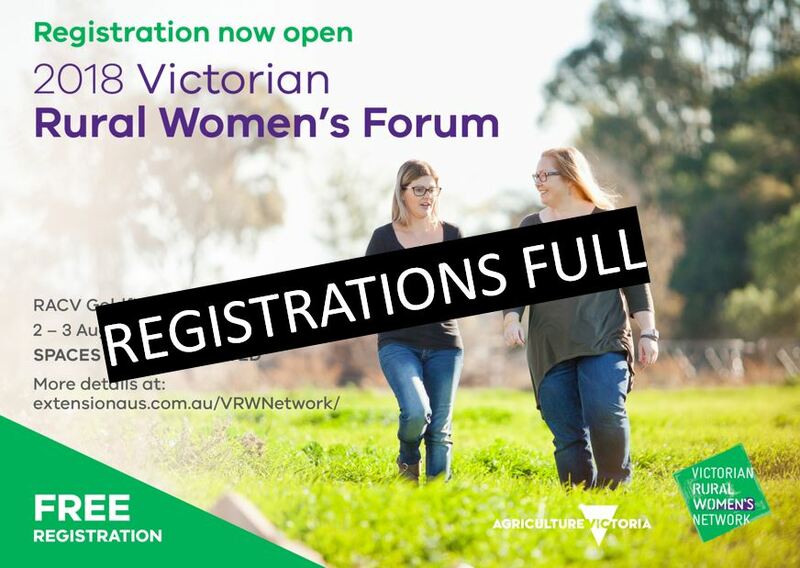 If you live nearby and do not wish to stay at the conference venue, please enter “Own accommodation” in the accommodation code box and send an email to VRWNetwork@ecodev.vic.gov.au so we can confirm your registration. Registration is free, however, to secure your spot, please book your accommodation and enter the confirmation number you receive into the Eventbrite form.